The REMM Group announces two new team members and five new real estate management agreements. 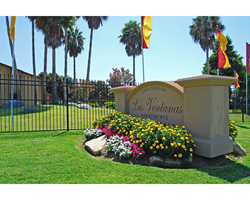 Las Ventanas is one of five new properties managed by The REMM Group. Today the REMM Group announced the addition of two new team members, three commercial properties, and two multifamily communities. Matt Tucker joins REMM as a Regional Property Manager. He will manage the three new commercial properties and a multifamily portfolio. Gaheez Ghowrwal will contribute his expertise to The REMM Group as a Senior Accountant. Spring Tree Apartment Homes in Anaheim and Las Ventanas Apartment Homes in Vista were added to The REMM Group’s management portfolio this spring. The three new commercial Industrial properties are Kilson Oaks, Wright Lyon, and Harvard Yale in Santa Ana. "As our real estate management portfolio grows, we have sought outstanding candidates to join our firm. We look forward to the contributions Mat Tucker and Gaheez Ghowrwal will make as part of our team of experts,” said Sara D'Elia, CEO of The REMM Group. Tucker brings 12 years of experience managing multifamily, commercial, and mixed use properties to The REMM team. He has extensive experience with lease up, increasing occupancy for property owners, and re-positioning under performing assets to achieve increased profitability. Prior to accepting a position with The REMM Group, Tucker worked with Cannon Management in Los Angeles. He was with Riverstone Residential Group in Oakland, CA from 2011-2013. Tucker is a Certified Property Manager and holds a California Real Estate License. Ghowrwal has a B.S. in Accounting form Metropolitan State University and has worked in Real Estate Accounting for over eight years. “The REMM Group utilizes Yardi Voyager 7S accounting software to deliver the most detailed and insightful reports to our clients. Gaheez's knowledge and experience will be an asset to our highly trained team,” said Shawn Conerty, CFO of The REMM Group. The REMM Group is a locally owned, third-party property management company that began in 1978. They provide real estate management for industrial, office, retail, and multifamily properties. The REMM Group’s corporate office is located at 15991 Red Hill Ave. Ste. 200 Tustin, CA 92780. For additional information on the news that is subject of this release, contact Sara D’Elia at (714) 974-1010 x213, sdelia(at)remmgroup(dot)com, or visit http://www.remmgroup.com.